If you are an avid PC gamer, you will agree with me that a gaming mouse is among the most crucial peripherals that greatly impact on your gaming skill and the entire experience. However, shopping for the best mouse is the elephant in the room. Many gamers don’t know what exactly to look for in them. For this reason, we have prepared a conclusive buying guide that will enlighten you on everything you need to know about a good PC gaming mouse. 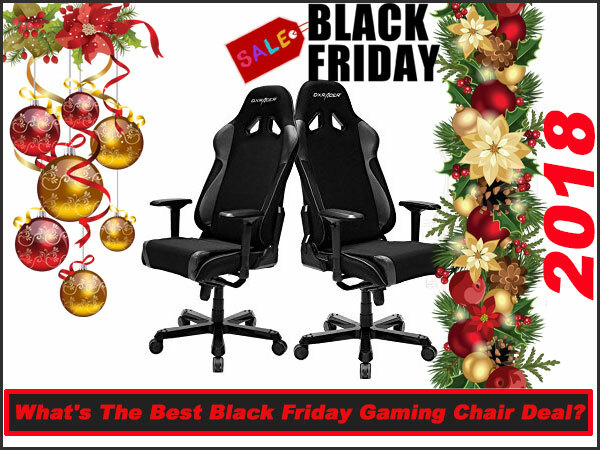 So, without further ado, here are some of the most important things to consider when shopping for this gaming equipment. In the market, you will find a wide range of mice each with a different approach in design and features. So, before going out to shop for a gaming mouse, it is important that you understand these types of mice. Remember, the type of title you play greatly determines the type of mouse you will need. Here are the major types of PC gaming mice you need to know of. There’s nothing so special about all-purpose mice especially because it sports just the same design principles of regular PC mice. The only difference might be aesthetics and perhaps, better comfort and ergonomics for an improved gaming experience. 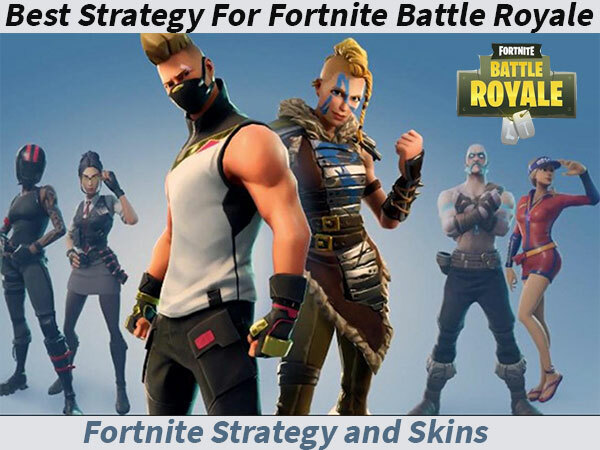 It is best suited for gaming titles that require the basic functions of a mouse, right and left click as well as a scrolling. Shooter mice are ideal for 1st person and 3rd person shooting titles because the click buttons easily correspond to fire and weapon selection while the wheel comes in handy for zooming. They may also sere secondary functions like secondary fire, melee actions and so on. 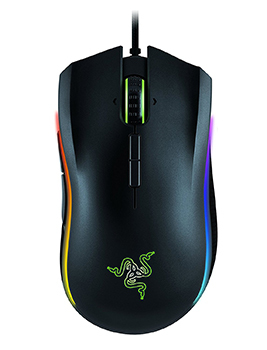 Examples of shooter mice include Razer DeathAdder, Logitech G402, Roccat Kova, and Razer Mamba. For advanced first-person shooting titles, this is what PC gamers go for. They have a lot in common with shooter mice but there are clear demarcations on what sets them apart. 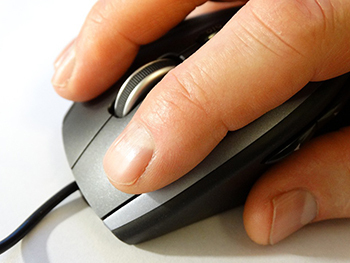 While all-purpose mice have the basic left and right buttons, FPS mice come with a dedicated ‘Sniper’ button somewhere around the thumb area. This button slows down the DPI in order to allow gamers take precise and most importantly, precise shots. If you love to play online, make sure you get an FPS mouse lest you will be disadvantaged as most online players are well equipped. These ones are for fans of Massive Multiplayer Online Games, commonly abbreviated as MMOG. 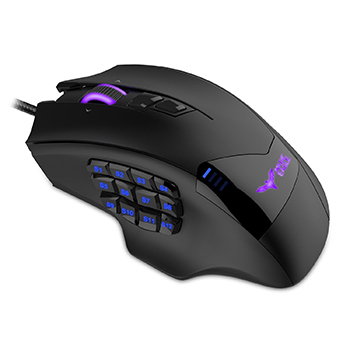 An MMO mouse is larger and has many buttons to cater for the many complex maneuvers common in games like Star Wars, Final Fantasy XIV, Guild Wars and so on. On the downside, these mice are very expensive. 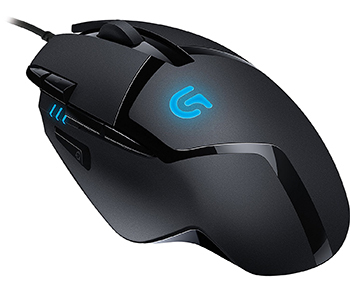 For example, the Razer Naga Epic Chroma retails at around $130 while a mid-range mouse will be Logitech G600 retailing at $80. If you are an avid PC gamer, you need a customizable mouse. This mouse, unlike the rest, can be customized to allow for more comfort. You can adjust every aspect of it; from the angle at which the palm will rest on the mouse to the feel of the different buttons. Besides this, they are very flashy and will often come with RGB lighting. This type of gaming mouse is great for the multi-game player; the high customizability makes it a great mouse for FPS, RTS. Before buying any mouse, first ascertain what type of games you play. If it’s FPS, get an FPS mouse and if you are a basic gamer, an all-purpose mouse will do. Most people don’t know that there are several types of mouse grips. Different people hold the mouse differently and brands have constantly been tweaking ergonomics to suit each grip style. Basically, there are 3 mouse grip styles; palm grip, claw grip and fingertip grip. Palm Grip – First, we have palm grip which is the most popular type. In this formation, your entire palm lays on top of the mouse hence the name, palm grip. The index and middle finger rest on the click buttons. If this is your type, then you should look for a large mouse. Tip Grip – There are also those gamers who will only hold the entire mouse with their fingertips in a style known as fingertip grip. Here, only two fingers and the thumb hold the mouse. This style also works well with large mice but also dependent on the size of the user’s hand. Claw Grip – Lastly, we have claw grip where the middle and index fingers are arched in a perpendicular angle to allow for easy clicking and is ideal with these compact-sized mice, the likes of aLLreLi SK-T2 4000DPI Optical Gaming Mouse and HAVIT 2.4GHz Adjustable 2000 DPI Wireless Gaming Mouse. It is imperative to note that the grips style highly depends on two factors; size and type of game. For example, while large mice are best for palm grip, compact mice are ideal for tip grip. On the other hand, whereas palm grip may be ideal for basic gaming titles, you will need. Just like in ordinary PC mice, we also have wired and wireless gaming mice. In as much as everyone will tell you about the convenience of a wireless mouse, no one weighs in concerning its reliability. 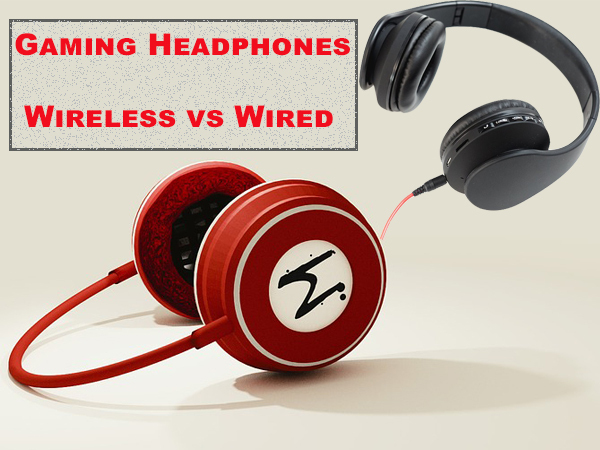 The truth of the matter is that the wireless vs. wired battle is all about convenience vs. reliability. When buying a gaming mouse, it is important to know the pros and cons of each. 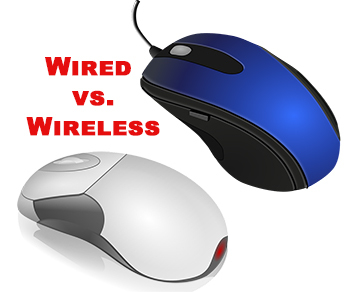 A wired mouse is considered old-fashioned considering the entry of wireless technology. However, they have remained resilient because of their reliability. As an avid PC gamer, I will tell you for free that in as much as wireless mice seem to be the bomb because of the freedom and coolness that comes with wireless technology; they are not as responsive as wired mice. This is because, with wired mice, there is a direct connection to the PC, free from any interference. On the other hand, with wireless mice, their use has grown exponentially to match the convenience wireless PlayStation controllers have. You can play from anywhere without minding about wire length and clutter. The only problem I find with these mice is their susceptibility to interference. Nothing can be worse than missing a crucial shot in Call of Duty because the connection was interfered by external factors like cell phone signal. I won’t tell you to buy a wired or wireless gaming mouse; the choice is yours. However, note that you have to compromise between convenience and reliability. For those who love gaming far from the TV, I would recommend a wireless mouse. However, if you want instant responsiveness, just get a wired mouse and sit close to the PC. Price is also in play here. Wired mice are cheaper compared to wireless mice; while the wired Pictek Gaming Mouse, which in fact has additional features, retails at around $15, a similar wireless mouse, Logitech G602 will cost you an upwards of $40 – remember the cost of replacing batteries too. This is another controversial debate that seems to be going nowhere. There are gamers that prefer laser mice while other stick to the traditional optical mice. Even though they all use a CMOS sensor, there’s a big difference between the two and all the fuss is all about accuracy vs. sensitivity. Just like in wireless vs. wired, it is also important to have a grasp of what each of these sensor technologies offers. Like earlier said, both optical and laser mice have a CMOS sensor that takes photos of the surface and consequently, detect movement. However, a difference arises when you look at their illumination. The surface, in an optical mouse, is illuminated by an LED while in a laser mouse, a laser beam is used. Before choosing any gaming mouse, you must first understand the pros and cons of each. An optical mouse is more accurate than a laser mouse even though it has lower DPI. This is because of the built-in zero acceleration. These mice pick up small minute movements in a better fashion than laser mice. If you are a sniper in Call of Duty, or you like shooting games that require high accuracy, I would recommend an optimal mouse over a laser mouse. This is because the exact movement of your hand is in the ratio of 1:1 to what you get on your screen. When it comes to laser mice, you can be guaranteed higher sensitivity courtesy of higher DPI and most importantly, the vertical-cavity surface-emitting laser diode, or VCSEL. Remember, VCSEL is the same technology used in barcode scanners, optical drives, and laser pointers. When shopping around, you will realize that laser mice have very high DPIs than optical mice. Considering the fact that the higher the DPI, the better the sensitivity, this will be great for those intense combat missions that require high responsiveness. Another advantage of this type of mouse is the fact that you can use it on any surface, even transparent glass. However, on the downside, it overly analyzes the surface and often ends up picking non-resourceful information. Just to clear the air, note that there are reviews that suggest that all mice are optical. This is true but from a different perspective. They are all optical because the CMOS sensor takes photos which are optical data. This is a less understood but very important Factor when buying a gaming mouse. The polling rate of a mouse refers to its rate of returning back to its position. Calibrated in Hertz, a good gaming mouse should have a high polling rate. Typically, a 125Hz mouse would be slow and unresponsive for gaming. Personally, something around 500Hz works quite fine for me. Even though some exuberant gamers would go an extra mile and push it to 1000Hz, the difference with a 500Hz mouse is not greatly felt. So, in as much as you’d wish for the best PC gaming experience, don’t waste money on a 1000Hz+ mouse. A word of caution, for wireless mice, the higher the polling rate, the faster the battery drains. Commonly abbreviated as DPI, this is what most gamers, as well as PC users, look in mice. However, how it relates to gaming is the elephant in the room. DPI is measured from 200 all the way to 4000 and can even go higher in laser mice. Remember, the higher the DPI, the better the sensitivity of the mouse. Optical mice are known to have from 400 – 800 DPI while laser mice have higher DPIs, up to 16,000 in high-end models. For example, high-end laser mice like Asus ROG Gladius II. Though not very sensitive, this is another important factor as it affects your gaming. As the name suggests, acceleration in PC gaming mice refers to the speed at which the mouse’s cursor moves in proportion to the hand of the speed when moving the mouse. For FPS gamers, this is a key determinant when taking out enemies at far apart positions. However, most mice come with a standard acceleration that seems to be okay with all users so this shouldn’t bother you too much. Buying the right gaming mouse is as important as buying the right keyboard. When it comes down to the factors you need to consider, the primary consideration should be what games do you play? Even though other factors are important, this is the single most important point that you shouldn’t miss. With that said, it’s time to pen off but just in case you are not still sure what mouse you will go for, here is a review of the best gaming mice in 2018 that you could use.